Pongola Game Reserve, Kwa-Zulu Natal. We all know how well South Africa caters for just about every type of traveller. There are mountains to climb, rivers and lakes to fish or float on, forests to hike through, wildlife great and small to search for – there really is no shortage of options. 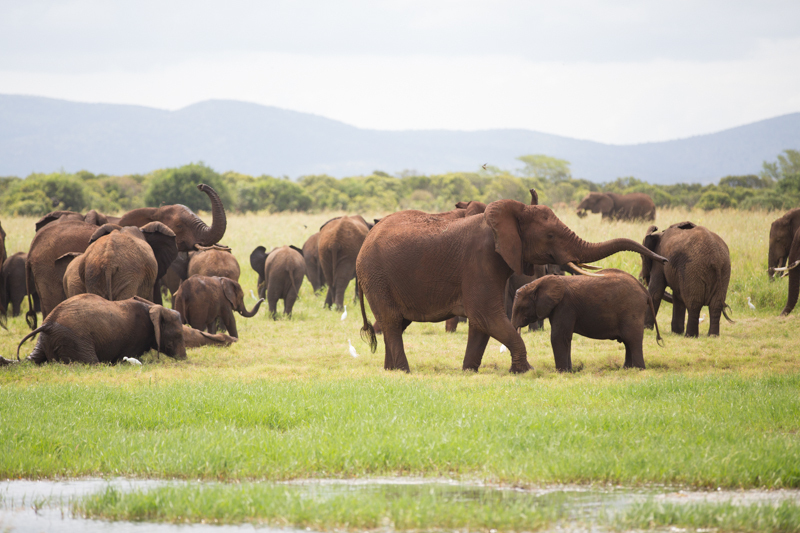 Pongola Game Reserve is one of those places that appeals to those who prefer a little variety in their time away, for families with different ways of unwinding, for travellers who want to squeeze the most into their holidays. Pongola Game Reserve was the name given to the first game reserve in the South Africa in 1894. Although a part of it that borders Swaziland has since been reproclaimed as Phongolo Nature Reserve, the area currently known as Pongola Game Reserve still covers much of its original land, boasting the area’s raw beauty and glorious diversity once wiped out by hunters and farmers in an attempt to rid themselves of the notorious tsetsi fly. 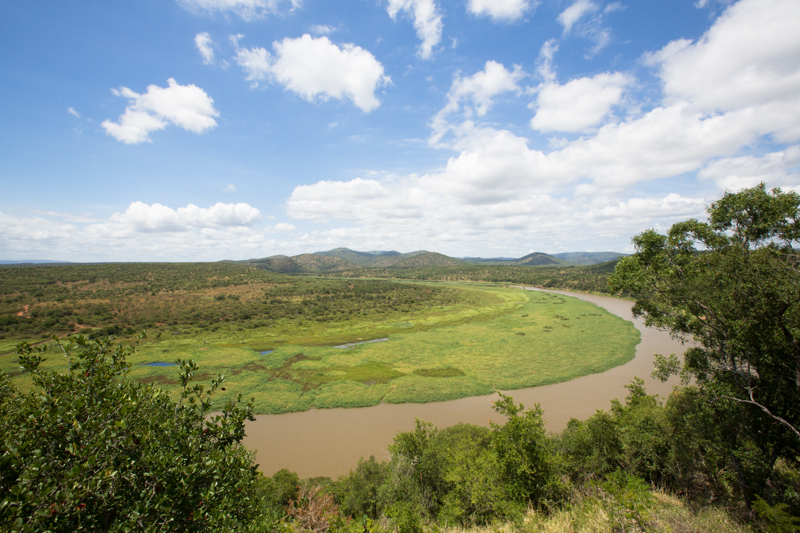 Once mostly cattle, corn and cotton farms, this 13 000 ha reserve encompasses three of South Africa’s best landscapes for the discerning traveller – Kwa-Zulu Natal’s rich, green bushveld, the striking hulk of the Lebombo Mountains, and Pongolapoort Dam, which offers some of the best tiger-fishing and bird watching in the country. 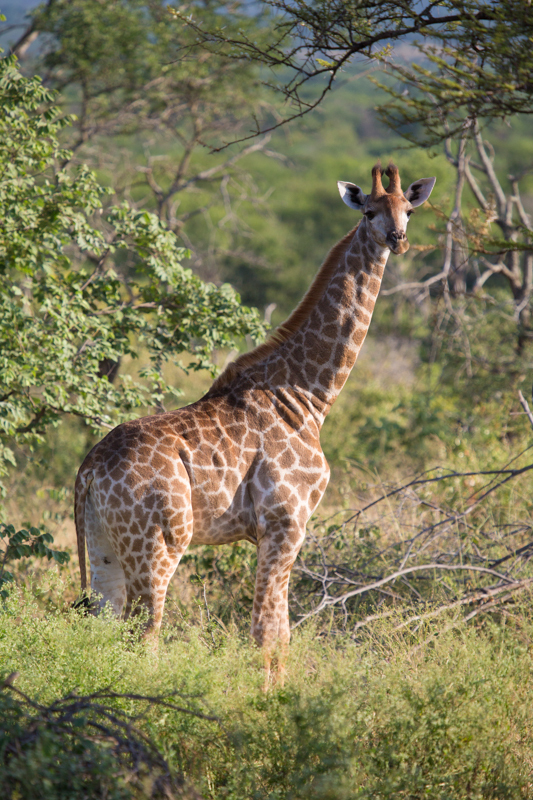 The reserve teems with general game of all varieties, as well as four of the Big Five (excluding lions), which can all be appreciated from various lodge or bush camp balconies and viewpoints, the back of a game drive vehicle, or from a fishing boat on the Pongola River or the dam itself. One moment you can be bumping along on the back of a Land Cruiser, searching for leopards, buffalos, and elephants, or heading out on foot to track rhinos, and the next you could be pulling out a 5 kg tiger or having sun-downers on the water with the sound of grunting hippos and chanting African fish-eagles in the background. Just a short drive out of the reserve could even find you searching for Dingaan’s grave or a rare African broadbill up in the mountain forests. We’re all spoilt for choice just living in a country as multifarious as South Africa, but to have so many options for just a weekend away is nothing short of awesome. First, there’s the view of the Pongolapoort Dam from just outside Jozini Town. 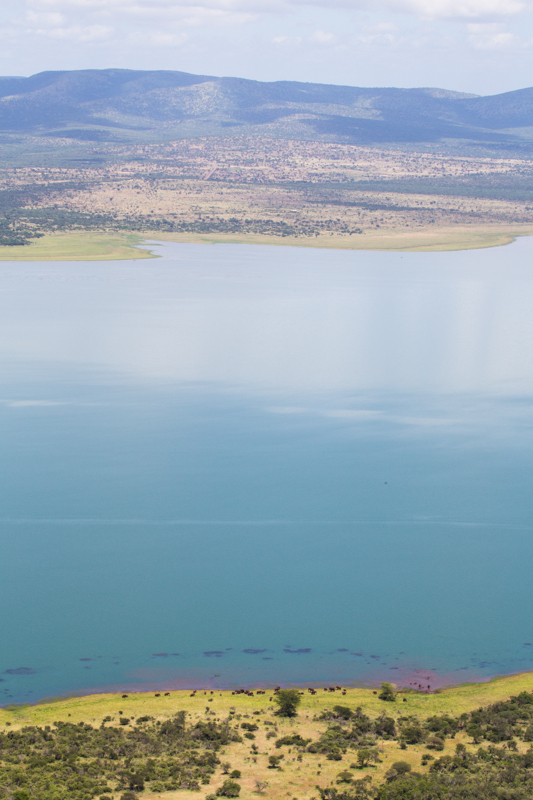 You’ll have to drive out of the reserve and around the southern tip of the lake to a small, unmarked viewpoint, but from the edge of the Lebombo Mountains you have a spectacular view over the whole dam, and, if you’re lucky, you may just see a herd of elephants grazing along the banks below you. Then there’s the view from above Mvubu Game Lodge. 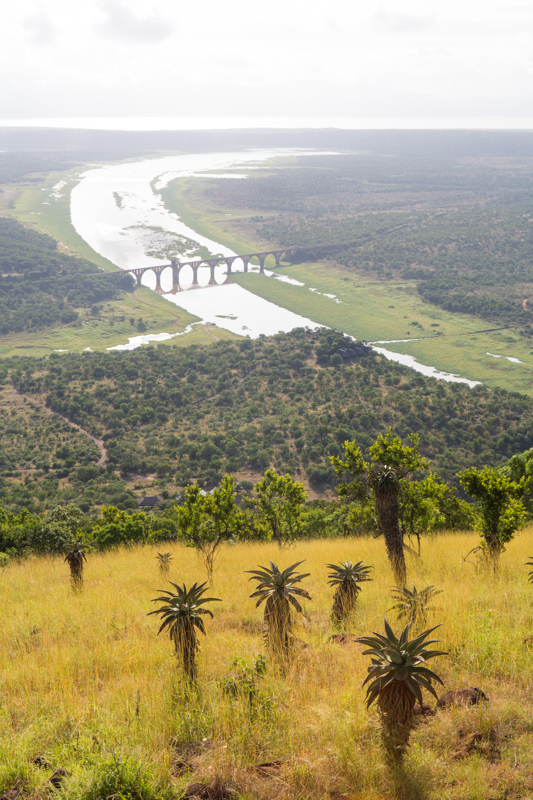 Ask the rangers to take you to the top of the hill at sunrise and enjoy the scene of aloes in the foreground and Pongola River and bridge in the background. Last, but not least, there’s the view of the Pongola River from Inyati Lodge. The river makes a massive bend right in front of camp and on a sunny summer’s morning, when it’s still green, it makes for the most fantastic landscape photograph, especially if there are a few fluffy clouds in the sky. Where? From Johannesburg, take the N17 to Ermelo before getting onto the N2 to Pongola via Piet Retief. Continue south on the N2 for 26 km and ten turn left towards Golela Border Post. After another 4 km you’ll find the reserve entrance on your right (about 450 km and five hours). From Durban, the drive north along the N2 is approximately 350 km (just over 4 hours). Tiger-fishing is best between September and March when the water is clear and warm, but the run-off from summer downpours (especially during December and January) affects water clarity and tends to reduce the number of bites. Game-viewing is good all year round. 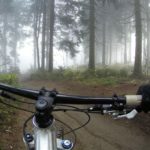 The temperatures between April and August are very pleasant, but if you don’t like to sweat avoid the region from November to February when it gets uncomfortably hot and humid. Pongola Game Reserve the company, not to be confused with the actual reserve, offers six accommodation options: Mvubu Game Lodge and Inkwazi Lake Lodge are fully catered, while Inyati Lodge, Mhlozi Bush Camp, Sondaba Bush Camp, and Mpalane Fishing Lodge are self-catering. Our favourite is Inyati Lodge, an upmarket private bush camp that sleeps a maximum of nine people in four wooden cabins, all overlooking the Pongola River. And best of all, it’s only 5 minutes away from Mvubu, where there’s a luxury spa. 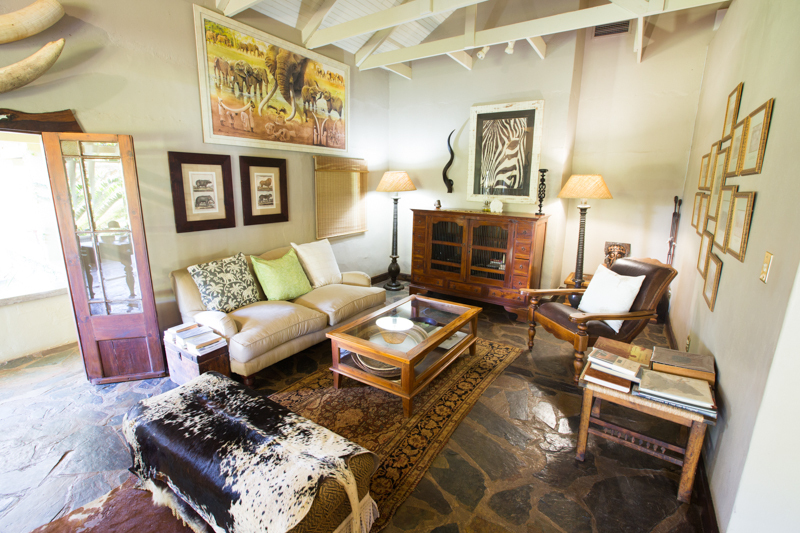 Inyati Lodge: From R395 per person per night, minimum R2370 per night. Mhlozi Bush Camp: From R225 per person per night, minimum R2025 per night. Sondaba Bush Camp: From R185 per person per night, minimum R1665 per night. 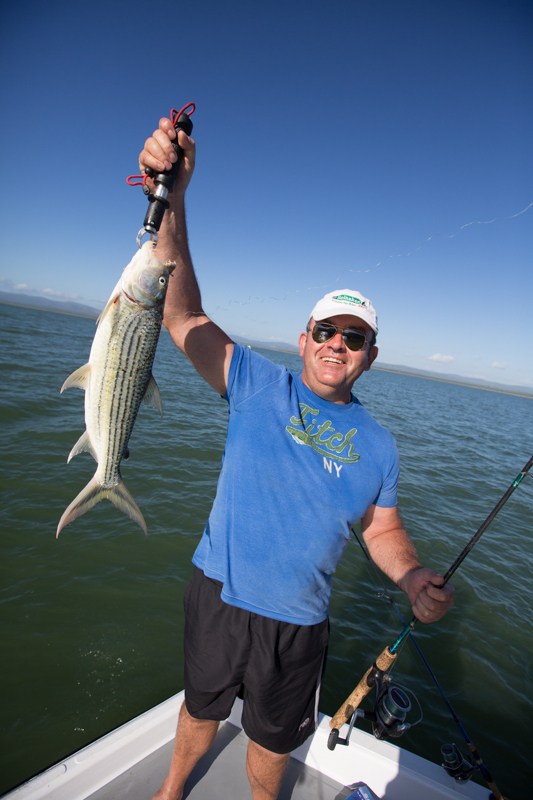 Mpalane Fishing Lodge: From R285 per person per night, minimum R3240 per night. Mvubu Game Lodge: Dinner, bed and brunch from R895 per person per night. 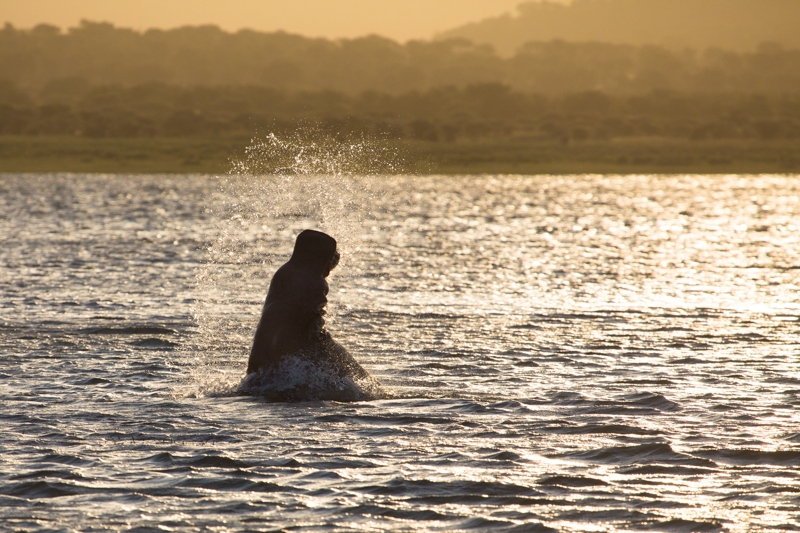 Run separately from the abovementioned camps, White Elephant Lodge is a classy colonial style camp and the only five-star lodge in the reserve. 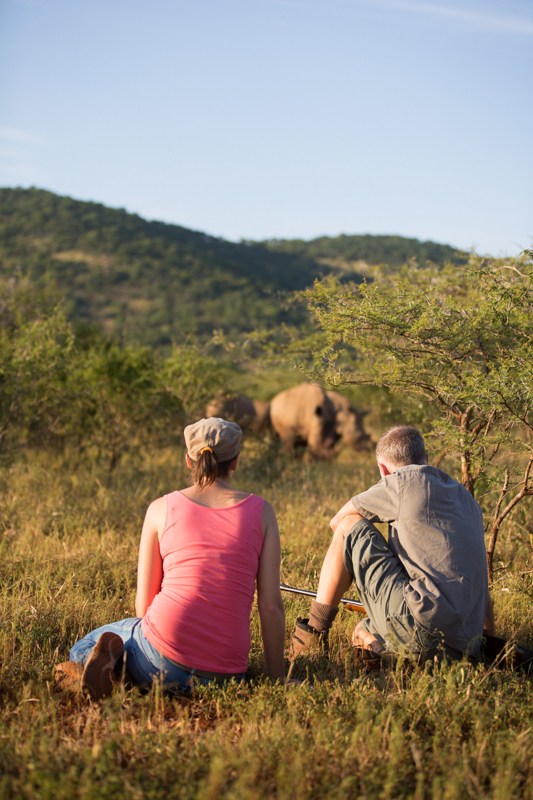 Cost: From R1938 per person per night, including accommodation, two activities and four meals a day. If you’re keen to explore the area, but prefer to camp, pitch your tent at the neighbouring Phongolo Nature Reserve campsite, which has 20 spacious campsites right on the edge of the Pongolapoort Dam, each with a braai area, bin and power point. Ablution blocks have flush toilets and hot water, but no toilet paper. Cost: From R70 a person a night and R25 a vehicle a day, with a maximum of six people per stand. This is a low-risk malaria area, but there are still a lot of mosquitoes around, so don’t forget the Peaceful Sleep. Look out for a feature on the region in the April issue of Getaway Magazine! The post Spoilt for choice at Pongola Game Reserve appeared first on ODP Magazine.